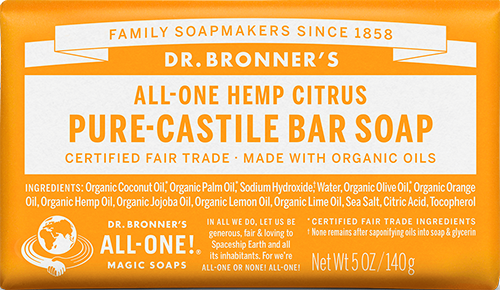 Dr. Bronner’s makes pure-castile soap, hair and body care products of the highest quality. We’re committed to socially and environmentally responsible products. All-One!